Naturally, the Burgenland is dominated by Blaufränkisch und Zweigelt. 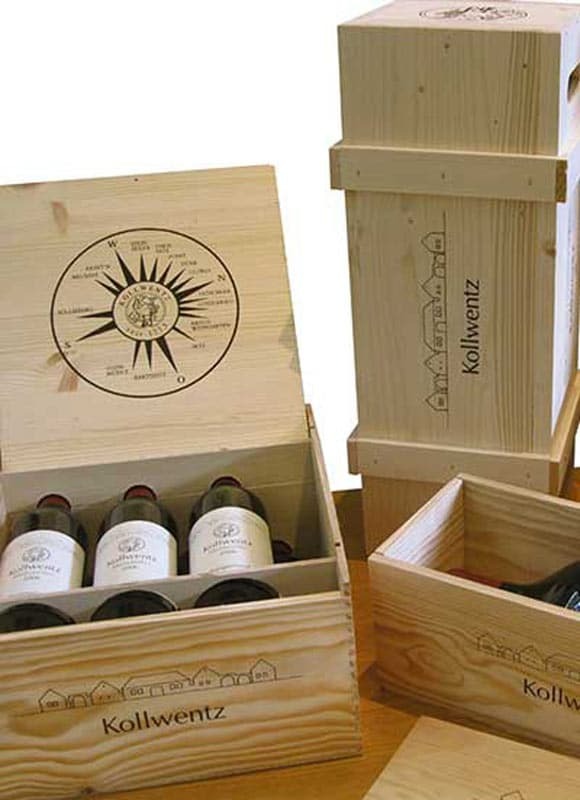 The traditional varietal Blaufränkisch by its power and spice forms the backbone of the Steinzeiler and Eichkogel blends and also produces the first-class single-varietal wines Blaufränkisch "Point", "Setz" and "Leithagebirge". The Zweigelt with its dark berry fruit, elegance and suppleness is a layered red used both for the single-varietal Zweigelt "Föllikberg" and as a harmonizing element in blends. Let it be said once and for all: Anton Kollwentz was the first to cultivate Cabernet Sauvignon in Austria, triggering a real Cabernet boom by his successes. Being an extremely powerful Burgenland-style wine, our Cabernet has captivated wine lovers for more than 20 years. Pinot Noir thrives on limy soils on the southern slope of the Leithagebirge in the 1570 first mentioned Ried "Dürr". Because it’s not only the inner values that count.